Look as rad as Mikey in our deluxe Michelangelo Costume! This green tutu dress features a bright green glitter skirt, gold lam� on the bodice and cap sleeves - the better to stay cool when defeating the bad guys. 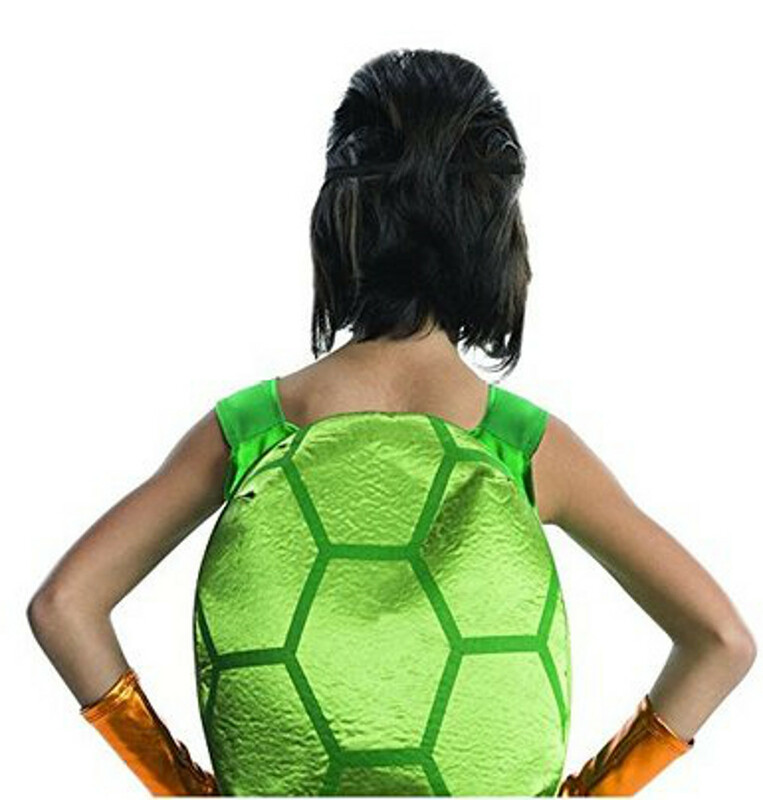 The stuffed printed shell is worn backpack style to make this outfit turtle-y awesome. Complete the outfit with the wide orange lam� belt, glitter eye mask and matching stretch glovelettes, and you're ready to save New York City from evil!